Question: What is the oldest ink-written postcard? 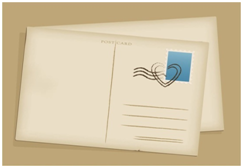 Answer: The oldest ink-written postcard is dated 1840 and was discovered in 2002. It was penned by an English gentleman who sent it to himself. Prior to this discovery, postcards in the late 1960s from Germany, Austria and the USA were thought to be the oldest ones of record.